Paint is not the only source of color at our disposal. 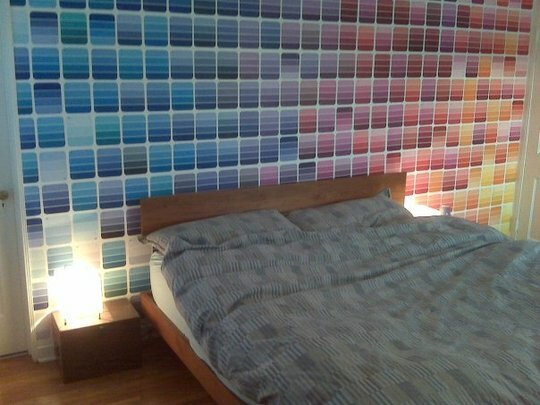 What about paint chips! Cozy little cave did a stair way spruce with a little paint chip wallpaper. 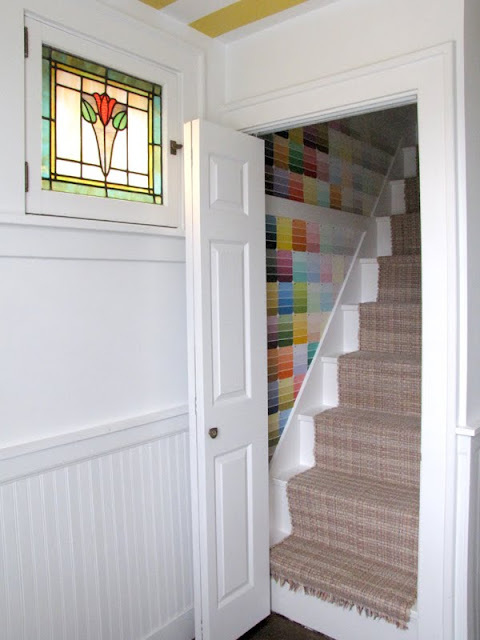 Notice the yellow and white painted stripes on the ceiling leading to the magical stair. Ish and Chi made a striking color wall composition. 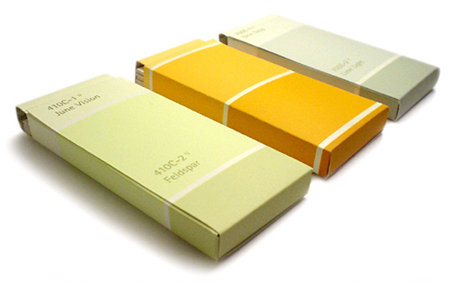 Design Verb has a tutorial for how to make business card holders out of chips. 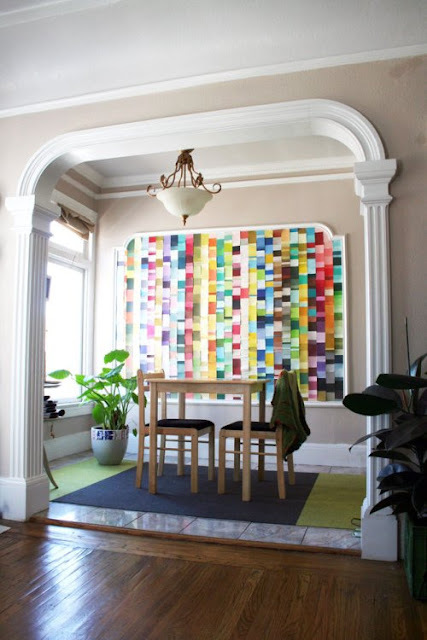 Scott Prendergast used 500 chips from Home Depot for his color fade wall.